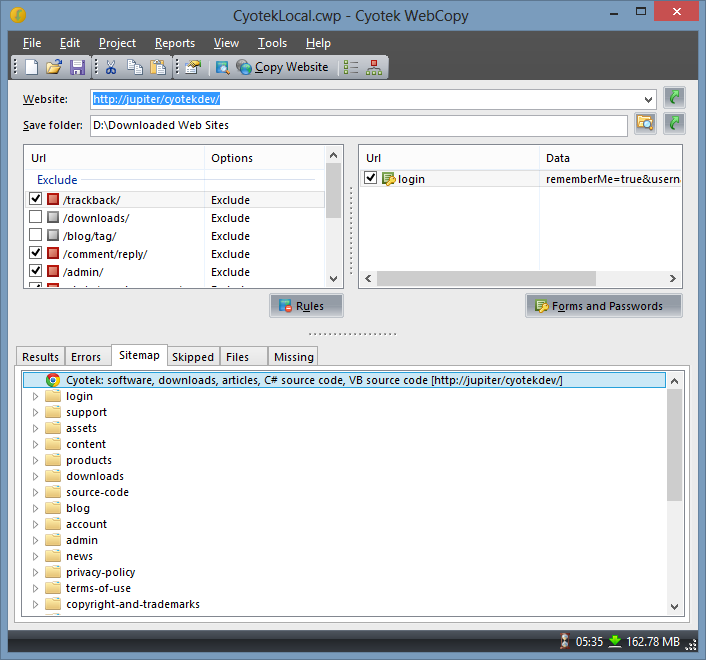 Cyotek WebCopy is a free tool for copying full or partial websites locally onto your harddisk for offline viewing. 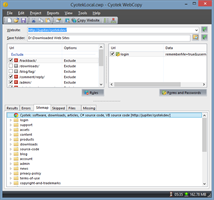 WebCopy will scan the specified website and download its content onto your harddisk. Links to resources such as style-sheets, images, and other pages in the website will automatically be remapped to match the local path. Using its extensive configuration you can define which parts of a website will be copied and how. WebCopy will examine the HTML mark-up of a website and attempt to discover all linked resources such as other pages, images, videos, file downloads - anything and everything. It will download all of theses resources, and continue to search for more. In this manner, WebCopy can "crawl" an entire website and download everything it sees in an effort to create a reasonable facsimile of the source website. What can WebCopy not do? WebCopy does not download the raw source code of a web site, it can only download what the HTTP server returns. While it will do its best to create an offline copy of a website, advanced data driven websites may not work as expected once they have been copied.